Rishikesh is one of the most fun adventure hubs to visit. 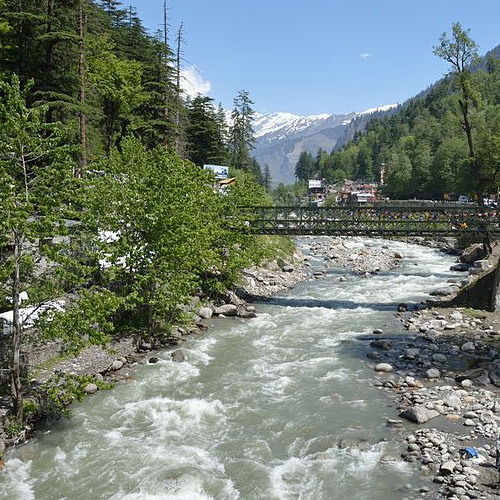 You’ll get to see the gorgeous green Ganga, try bungee jumping, rafting, and lots more, and maybe even a yoga session. At night you’ll camp in tents and enjoy bonfires and BBQs under starry skies. 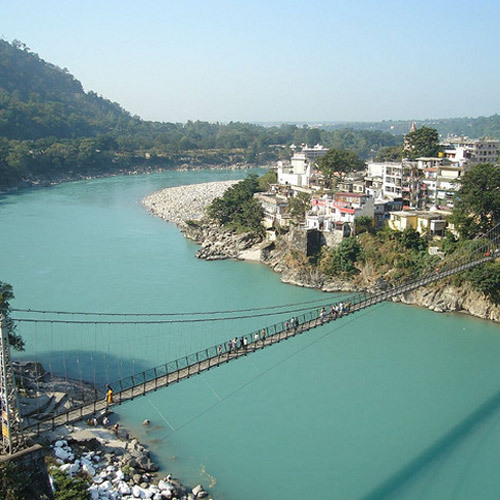 Rishikesh, located at the foot of the Himalayas, offers splendid scenery and fresh mountain air. 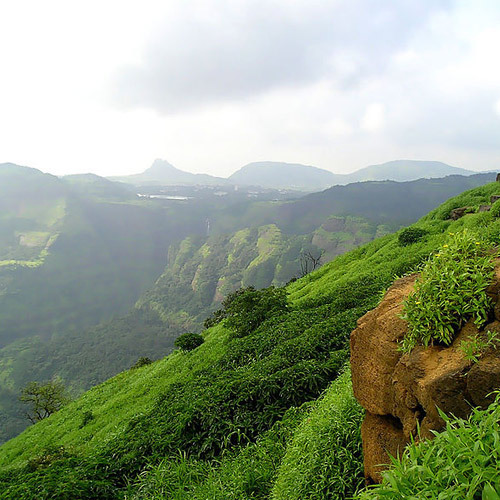 It’s the perfect place for a camping trip, especially when you’re trying to escape the pollution and heat of Delhi. You’ll stay at idyllic campsites sheltered by amphitheatres of mountains, and have a range of options to choose from. There are many options of accommodation, from Swiss tents to bamboo huts to cottages. Some campsites even have air-cooled tents and rooms for warmer days. Most camping packages include all meals, a campfire in the evening, and a rafting session the next day. Camping is prohibited on the banks of the Ganges, but most campsites are set along the tributaries, or higher up in the hills. Thanks to the wide diversity of flora and fauna, camping in Rishikesh is a favourite activity for bird-watchers and nature lovers everywhere. 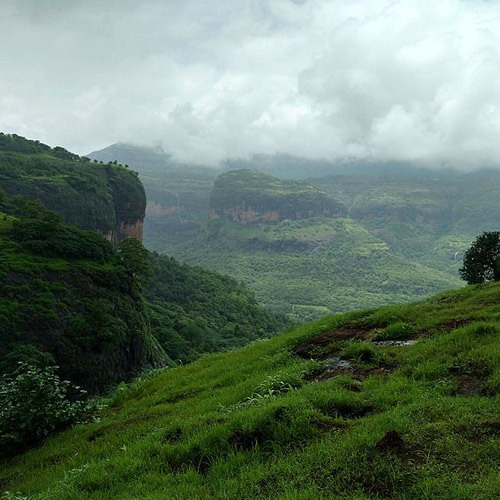 You can sign up for short nature treks in the forests around, or walk to waterfalls nearby. Most spots for camping in Rishikesh are designed to host families and large groups, so you’ll find that there are plenty of adventure activity options for all ages. If you’ve chosen a campsite near peaceful stretches of the river, you can also go paddling or kayaking. There are usually rope activities like ladder climbing or Burma Bridge, obstacle courses, or rappelling and rock climbing. You’ll also be able to find a spot to do yoga or meditate near the river or in the gardens. Rafting in Rishikesh is undoubtedly the highlight of camping here. 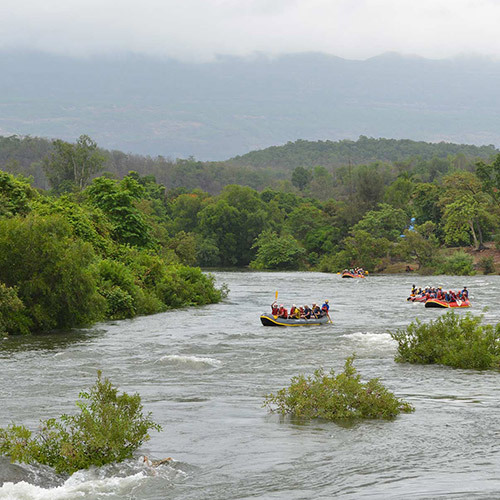 This is one of the most popular spots in India for rapids, and adventure-seekers from around the world come here to try their luck. Ranging from Grade II to Grade III+, there are trips for every level of experience. After you’ve navigated the tumbling rapids, you’ll be directed into a calmer section of the river. Here you can enjoy a session of cliff-jumping, or take a peaceful swim in the cool water. 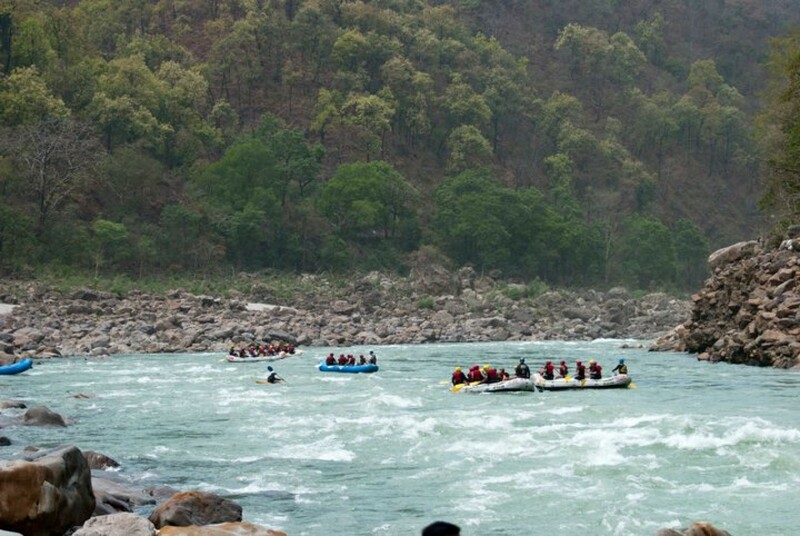 Apart from rafting however, check out this list of fun adventures to do in Rishikesh . The most popular activities are bungee jumping or ride on Asia’s longest flying fox. This one-night package at a comfortable, well-designed jungle camp won't be enough, but it's a good start for a riverside adventure! Enjoy the thoughtful facilities on-camp, such as inhouse parking, double-bedded camping with attached tiled bathrooms, cosy sit-outs for your to admire the views, bonfires to warm the chilly evenings, and a whole host of adventure activities to keep you busy. You can go for a swim in the river, try out body-surfing or just paddle about, or you could try your hand at rock climbing, rappelling, and on the Burma Bridge. But the highlight of your trip will definitely be the rafting that you'll be doing on Day 2. You'll be heading out to battle Grade III and III+ rapids on a 16 kms stretch. This 3-hour trip will have you thoroughly drenched! Enjoy a riverside paradise with a delightful camping experience. The campsite is located along the banks of the Ganges, surrounded by lush forests and wildlife. During the day, you'll be able to head out and enjoy the pleasant weather and the cool river, try your hand at adventure activities on the campsite, go rafting in the iconic rapids, and enjoy Rishikesh. In the evenings, you'll join the other like-minded travellers at a campfire on the beach, while the river flows by. And finally, at night, you'll retire to your deluxe tents and sleep comfortably, with the sounds of nature outside. What is the minimum/maximum age restriction for camping in Rishikesh? There are no age restrictions for camping in Rishikesh. Many families with children or senior citizens enjoy the camping experience here. However, do note that some campsites have a short walk between the parking area and the campsite. Do check before making your booking if you have a family/group member who will not be able to manage this. When is the best time for camping in Rishikesh? If you’re camping in Rishikesh and planning to go rafting, you should go in the summer months, or after the monsoon. During the winter, the river can get very cold, but rafting is still operational. Some operators will provide you with a wetsuit during winter rafting to keep you warm. However, if you are not planning to go rafting, camping is fun year-round, except during the monsoon months. What else can I do in Rishikesh during camping? Rishikesh is full of adventure activities to try during your camping trip. You can go bungee jumping, river rafting, kayaking, or try Asia’s longest Flying Fox. Some campsites also offer activities like rappelling, obstacle courses, etc. Apart from this, you can sign up for short treks, yoga sessions, or sight-seeing in Rishikesh. You must also make sure you visit the Ganga Aarti, which is a beautiful event, even if you are not religious. What is provided for meals in Rishikesh? Most campsites provide veg/non-veg options for dinner, with vegetarian food for other meals. You’ll get buffet-style meals for lunch and dinner, with rotis, rice, dal, vegetables, and one non-veg dish, and dessert, as well as accompaniments like salad, pickle, and papads. For breakfast, you’ll usually be offered a choice between eggs, bread and butter, aloo puri or paratha, and tea or coffee. Some campsites include a round of starters/BBQ snacks in the evening during the campfire. I don’t want to camp in tents in Rishikesh. What are the other options? Rishikesh has plenty of options for overnight stays, including budget and premium camping options. Some operators have very spacious tents with double beds, attached washrooms, and even coolers. However, you can also stay in air-conditioned cottages, which is especially comfortable in the warmer months.